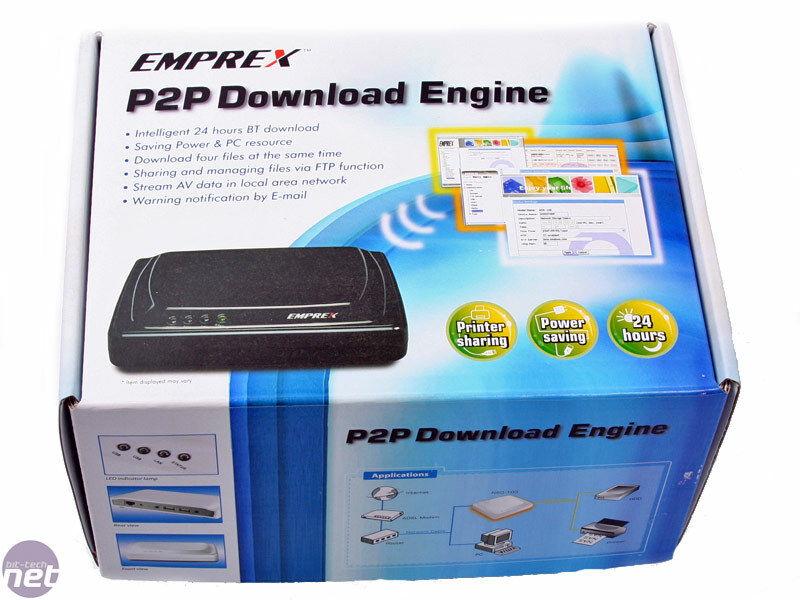 Sometimes we're alerted to things that happen to fall just out of our radar and the Emprex P2P Download Engine is a classic example of this. We were alerted to this little gadget by a friend at one of the PR agencies we work with, as they thought it might be applicable to our readers. "A download what? Engine?..." The conversation was quite confusing at first when he described it over the phone. It was when more details dropped that it started to get attractive – a very small footprint, very low power stand alone box that can act as a NAS, print server, media hub, FTP server and BitTorrent client. All of a sudden a lightbulb went off over my head – this thing sounds awesome! "£40?!? What's the catch? Why haven't we heard more about it?" Well sniffing around it seems a large proportion of places don't want to advertise this as a "P2P Download Engine" – it speaks of condoning all sorts of illegal nastiness and they understandably don’t want to be held liable for that. It's unsurprising though since the "official blog" lists Mininova and TorrentPortal under the resource sharing part – two sites that aren't known for their legitimate catalogues. 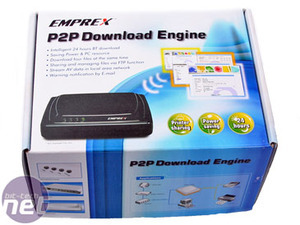 If you're looking for one it also goes by the "EMPREX NSD-100 SOHO file and printer sharing", so the best thing is to Google for is the "NSD-100", "Emprex" or "P2P Download Engine" to cover all bases that sell it, to get the best price. I'm sure we're all aware of the popularity of BitTorrent, and so the benefit of a very low power device that is always on, separate from your PC and easy to administer, should be extremely attractive. After all, having several hundred watts burn away just to get the latest, ahem, Open Office release is hardily ideal. 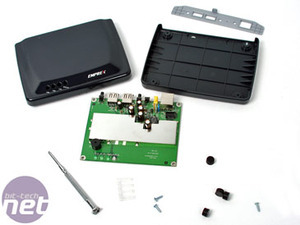 The small box has plenty of clear detail about the product and also tells you if you've got the white or black one; this is obviously to match your PS3 or 360/Wii. 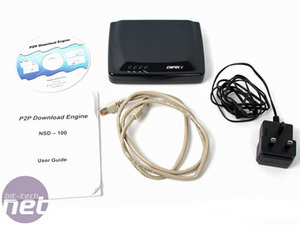 Inside you get a short CAT5 cable, the NSD-100, its power brick, a manual and a driver CD. Contrary to my complete expectation that, for the price and brand, it would probably be half-assed and full of amusing Engrish, it couldn't have been further from the truth. 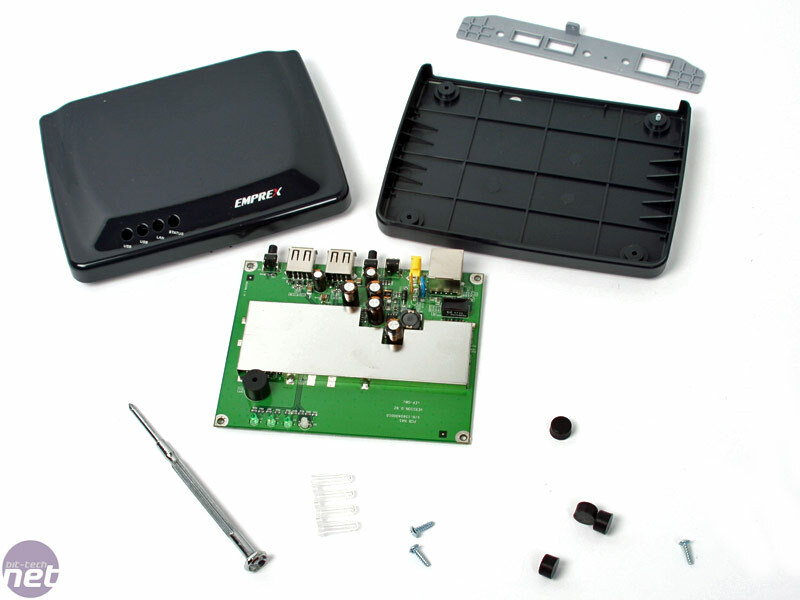 The manual is really worth diving into because the setup guides are very helpful. 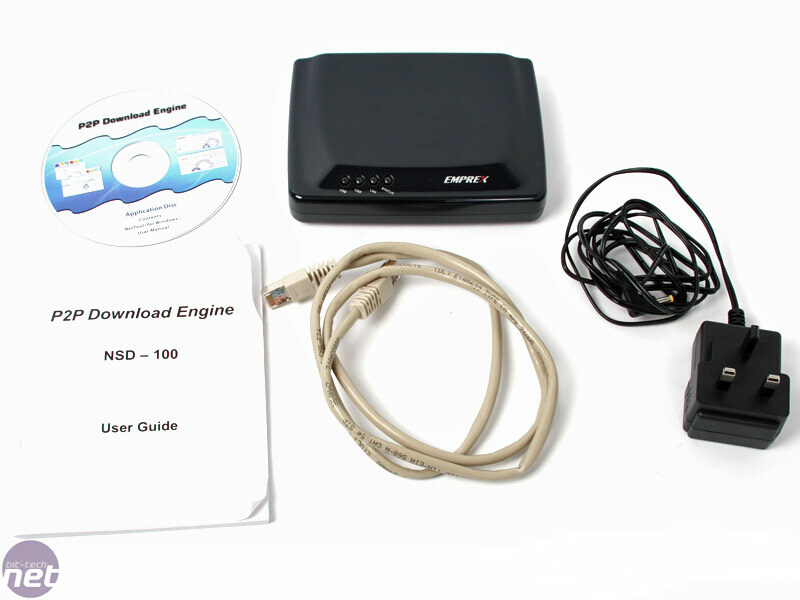 The actual NSD-100 unit is much like any consumer network device – it’s small (about the size of a hand), sort of square with flashing LEDs and with a load of sockets on the back. 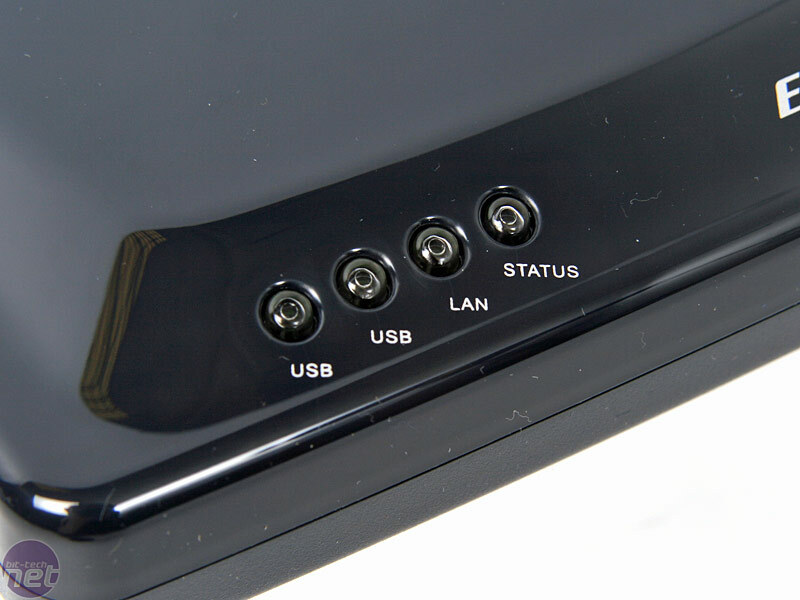 These sockets include two USB with safe disconnect buttons, one RJ45 10/100 Fast Ethernet socket and one power socket. It only requires a 5V, 2A power source so it's essentially limited to 10W, including external disks unless they're powered from elsewhere. 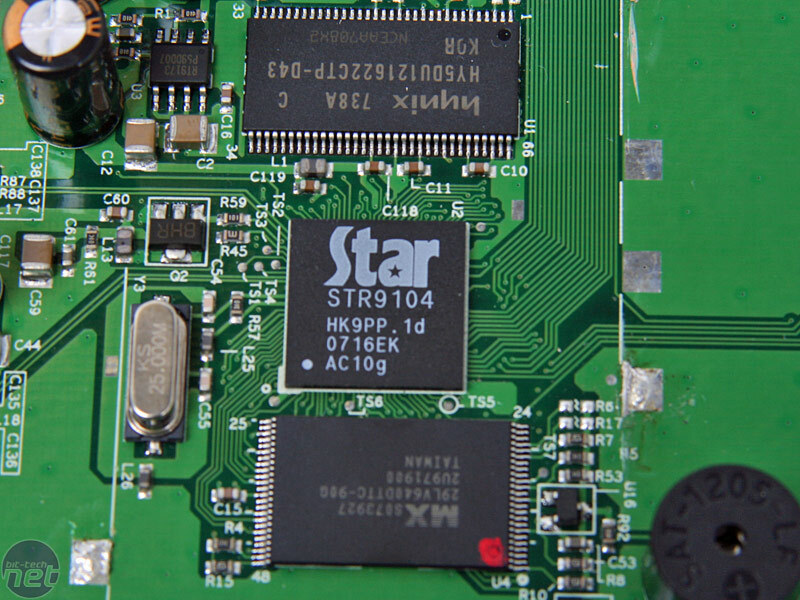 Inside is a STAR STR9104, 180MHz ARM9 CPU which runs a very slim *nix client on the 8MB Flash ROM and 64MB of hardwired memory. 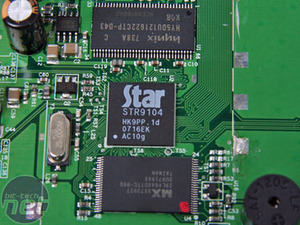 The STAR CPU will actually support a second 10/100 Fast Ethernet socket too, even though only one is included. Yes, we had to crack the soldiering iron out to get to the heart of this one; Joe seems to have quite literally everything in his bottom draw! OK, so it looks good close up, but what's it like to use? Is it cheap and cheerful or a complete bargain you can't do without? 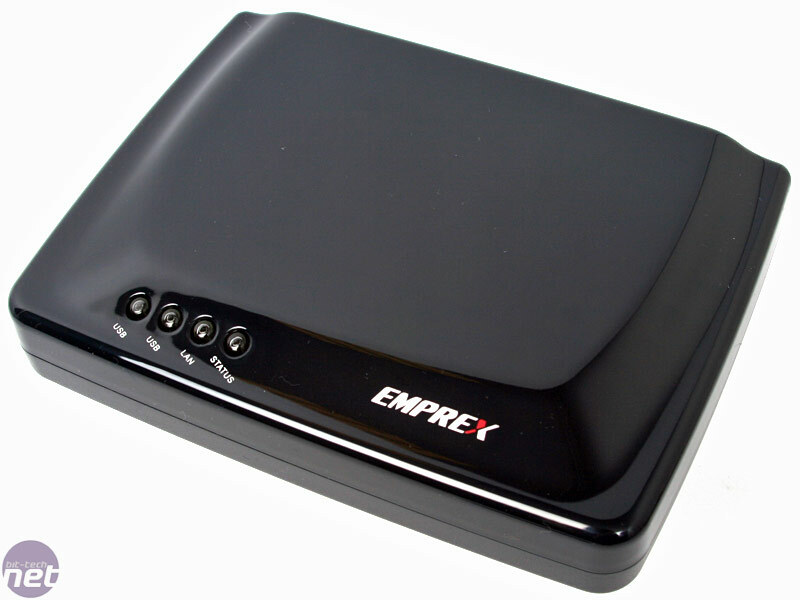 With our media collections expanding faster than our Christmas waistlines, we check out the Xtreamer, an all in one media player with more than a few tricks up its sleeve. Can it dethrone the impressive WDTV Live? Read on to find out. HP workers have created a 'darknet' system for anonymous communications which operates entirely within the browser.